Two drawer nightstand with external structure in iron metal. 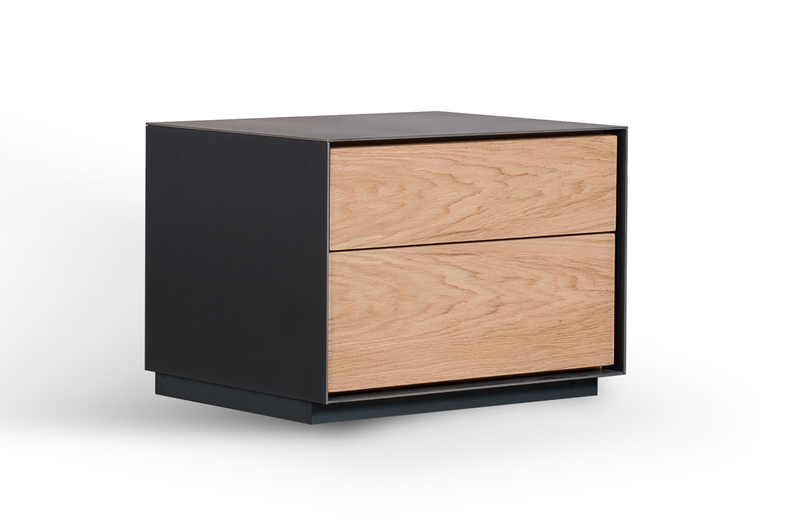 Drawers in oak, walnut, maple or cherry wood. Oak, walnut, maple or cherry wood.